The latest guidelines suggest you should have an engaged conversation with your doctor about PSA testing. An annual prostate-specific antigen (PSA) test to check for signs of possible prostate cancer sounds innocent enough, but new guidelines suggest the test offers few long-term benefits, and substantial possible harm. 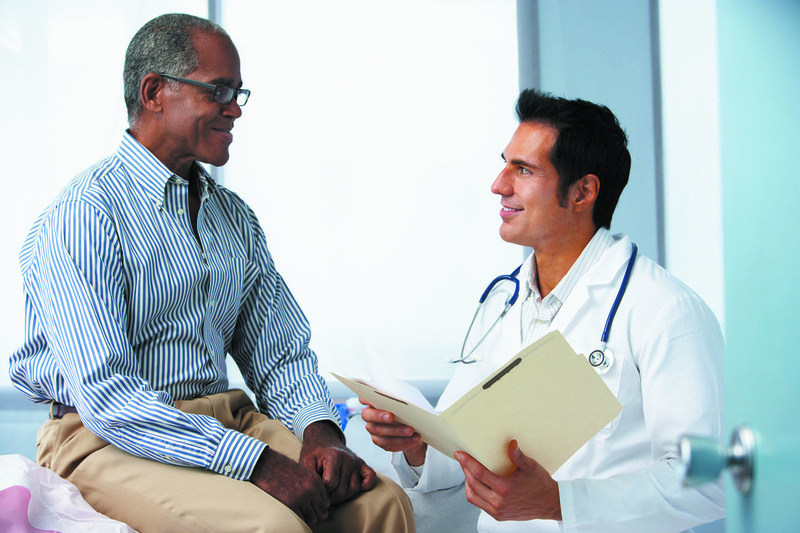 The updated guidelines from the U.S. Preventive Services Task Force (USPSTF), published online April 11, 2017, by The Journal of the American Medical Association, reinforce the organization's 2012 conclusion that PSA screenings have only a small potential benefit for reducing the chance of dying of prostate cancer for men ages 55 to 69 — while exposing them to possible overtreatment and side effects from biopsies, radiation, and surgery. "Today, as was the case in 2012, the ability to show an overall survival benefit from any screening recommendation still eludes us, and the cancer-specific survival benefit, if one exists at all, is at best very modest," says Dr. Marc Garnick of Harvard-affiliated Beth Israel Deaconess Medical Center. In 2012, the USPSTF gave PSA-based screening for prostate cancer a grade of D and recommended against routine testing for all men. The poor grade was based on evidence that only about one man in 1,000 who underwent screening would avoid death from prostate cancer. In fact, if a 55-year-old man chooses not to get screened, his chance of dying from prostate cancer over the next 10 to 15 years is about 0.6%. If he does choose to be screened, he reduces his chance of dying from the cancer to only 0.5%. The 2012 report also found that almost 90% of men with PSA-detected prostate cancer receive treatment, such as surgery, radiation, or androgen deprivation therapy, and 75% of this group experience harmful side effects like impotence and incontinence. The new guidelines also repeated the 2012 recommendation that men ages 70 and older should skip PSA screenings altogether, as evidence shows that when they develop prostate cancer, it tends to be slow growing, and the 10-year survival rate is quite high. "Odds are these men will die from something other than prostate cancer," says Dr. Garnick. The updated guidelines echoed the suggestions from the 2012 report, but screening was given a slightly higher overall grade of C for men 55 to 69. Why the change? This was in response to the greater use of active surveillance, in which men diagnosed with lower-risk prostate cancer delayed treatment and thus avoided side effects. "In 2012, if you were diagnosed with prostate cancer, you were almost certain to receive treatment. Now, the cancer is more likely to be observed," says Dr. Garnick. Other research confirms the new guidelines' assessment of risk versus reward. A study published online Dec. 1, 2016, by Cancer screened 76,685 men for various cancers, including prostate cancer, to see if yearly screening saved lives by finding the disease early. The 15-year follow-up found little difference in death rates between men screened annually and those in the control group, who were screened occasionally. The researchers also noted that men with PSA lower than 1.0 have only about a 0.5% chance of being diagnosed with prostate cancer within 10 years. Does that mean you should always avoid PSA testing? Not necessarily, as prostate cancer is still responsible for 30,000 deaths per year. Dr. Garnick says that further research is needed to see if testing may benefit high-risk men, such as African Americans and those with a first-generation relative who's had the disease, like a father, uncle, or brother. "For these men, while many would recommend screening, there is no solid evidence that there are any meaningful benefits as a result of screening," he says. Still, the results of a PSA test can lead even high-risk men down a slippery slope, and they should proceed with caution, says Dr. Garnick. The emotional aspect of diagnosis can cause men to make poor decisions. In fact, a study in the February 2017 Journal of Urology found that the stress and anxiety of a prostate cancer diagnosis often pushes men to choose aggressive or unnecessary treatments like radiation or surgery. The decision to have prostate cancer screening is never simple. It is a personal choice that depends on many factors, like age, degree of risk, and family history. "Have an in-depth talk with your doctor about all your options," says Dr. Garnick. "The more information you have, the better you can make an informed decision about PSA testing."